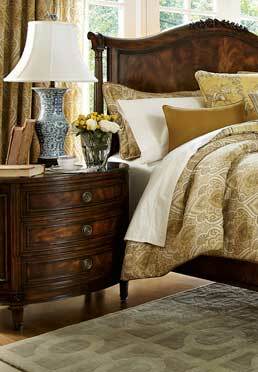 Our beautiful Oval Nightstand is a stunning yet functional piece to add to your bedroom. With three drawers, there is plenty of storage space so you can keep the top surface tidy. The Vanderbilt Finish is a deep, rich finish complemented by beautiful drawer pulls.